In Mani Ratnam’s O Kadhal Kanmani, Prakash Raj played the caring husband Ganapathy to his Alzheimer affected wife Bhavani (Leela Samson). 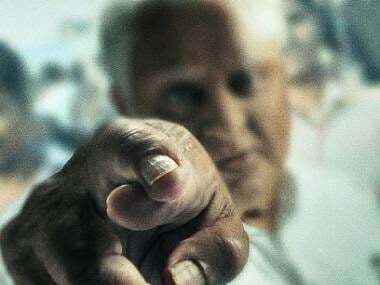 Now, in his upcoming film 60 Vayadu Maaniram, the National Award-winning actor plays a 60-year-old man who has Alzheimer condition and how his son (played by Vikram Prabhu) searches for him after he goes missing from the care center. Talking about the role reversal, Prakash says, "It’s a very rare space to be in. I felt that the character is very poetic and it’s a liberating experience to be someone who forgets everything around him. I have a good memory that I always look everything in five to six layers but this role pushed me to surrender myself. At one point, I forgot everything on the sets that I didn’t even mind the shot position, camera and the people around me. The film also helped me to see life in a different point of view". 60 Vayadu Maaniram is the remake of critically acclaimed Kannada film Godhi Banna Sadharana Mykattu. Prakash Raj’s good friend Radha Mohan has directed 60 Vayadu Maaniram and it is all set to release on 31 August. Despite making classics like Mozhi and Abhiyum Naanum, Radha Mohan wasn't celebrated much in Tamil cinema. Talking about this bitter truth, Prakash says: "We also should be ashamed of this fact. If we look at the lifespan of Radha Mohan and the films he has given, we should have celebrated him. I know actors who liked Radha Mohan’s works and expressed interest to work with him but when approached they opt out citing various reasons. We are living in this world with such fake people but what to do? I personally feel that we should appreciate the integrity of filmmakers like Radha Mohan who don’t compromise and continue to give quality films". Prakash Raj’s recent film Sila Samayangalil didn’t have a proper theatrical release, it was actually directly streamed on Netflix. "Sila Samayangalil is a proper Netflix film. The runtime is just 100 minutes and I’m sure it would not run in theaters. In fact, now we have made more profits than the estimated theatrical revenue. Apart from the business factor, the film took me to the US and I almost entered the doors of Golden Globe Awards”. Sila Samayangalil (Sometimes) was among the last ten shortlisted films for the 74th Golden Globe Awards, but it wasn't nominated. The Iruvar actor says that leading OTT team approached him recently for a web series but he refused the offer. "I don’t have the luxury to allocate 45 days to web series. I should decide whether my remuneration is tangible or not. Remuneration could be in the form of money or experience. 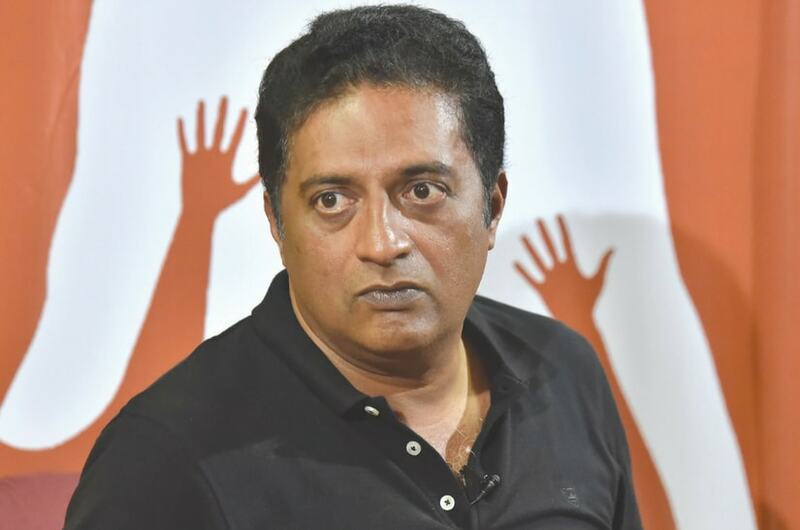 If the story gives me a lifetime experience like Kanchivaram and Sila Samayngalil, I’m ready to even act in TV serial by getting one rupee as my salary", says Prakash Raj. Over the years, Prakash Raj’s journey with Mani Ratnam is very special that they collaborated in classic films like Iruvar, Kannathil Muthamittal, and O Kadhal Kanmani. Prakash also plays a pivotal role in Mani Ratnam’s upcoming film Chekka Chivantha Vaanam. "Mani Ratnam is a man who is beyond success and failure. If he wants my presence in his film, Mani would call me and all I ask him is the number of days required because filmmakers like him teach me with every given film. They push me into the unknown world and makes me feel uncomfortable, Chekka Chivantha Vaanam also offered me one such experience", says Prakash Raj who adds that Mani Ratnam doesn’t know anything other than cinema. "Mani only calls me if he feels that my performance would justify the particular character. If I’m not available, he would not force and go for some other actors. 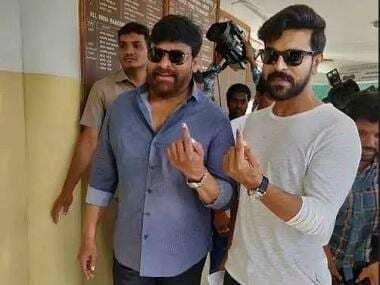 Mani also fixes my salary and I simply accept whatever he gives because acting in his film is like going to temple. When Mani is ready to offer me prasada, why would I negotiate salary with him", Prakash Raj smiles and signs off.